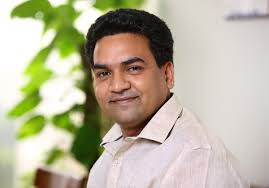 New Delhi, May 7 (PTI) A day after being dropped as a minister, AAP MLA Kapil Mishra today levelled stunning allegations of corruption against Chief Minister Arvind Kejriwal and Health Minister Satyendar Jain. Mishra told reporters at Raj Ghat that he "saw" Jain handing over "Rs 2 crore" to Kejriwal at his official residence. On being asked, the CM evaded answering where the money came from and said few things in politics cannot be explained, the sacked MLA alleged. "I kept quiet all this while due to complete faith in Arvind Kejriwal. Day before yesterday, I saw Jain giving Rs 2 crore in cash to Kejriwal. Kejriwal said few things happen in politics. After having seen Jain hand over such a big amount to him, I had to come out. I have handed over the details to Lt Governor Anil Baijal," Mishra said. "I am also ready to make a statement before the CBI or Anti Corruption Bureau if required," he added. There was no immediate reaction from the Aam Aadmi Party or the government on the allegations. The BJP demanded the resignation of Kejriwal saying Mishra has "punctured the balloon of his probity". Mishra further alleged that Jain told him that he "settled land deals worth Rs 50 crore for Kejriwal's relative". The AAP MLA said he was sacked after he confronted Kejriwal over the issue. Mishra's surprise sacking came days after he sided with senior party leader Kumar Vishwas who has been at loggerheads with the party leadership. Earlier, as Mishra went to meet the LG at Raj Niwas, the top leadership of AAP remained huddled at Kejriwal's residence. Vishwas, who was also present, left a Little before Mishra made the allegations to reporters at Raj Ghat. Soon after the move, Mishra had claimed he would "expose" the involvement of certain AAP leaders in an alleged scam on Sunday. He said he had met the chief minister earlier in the day and handed over documents related to the alleged scam. "I was not informed of the decision and as per my knowledge, it was taken unilaterally by Kejriwal. The Cabinet or the Political Affairs Committee (the AAP's top decision- making body) was not involved," Mishra told PTI. A senior government official said the decision to remove Mishra was taken after it was found that consumers were receiving "inflated" water bills. Sources in the party said Mishra was sacked because of his poor performance. However, the party had considered him as one of the most vocal and active voices in the government until he sided with Vishwas. "This is being repeatedly said that I have been moved out because water problems have not been solved in Delhi. But both Sisodia and Kejriwal have never raised the issue of water problems earlier," Mishra said.